Who would’ve thought that airplanes would have vertical wings or folded wings? This idea must be imaginative or dream for many of you but Boeing is planning to launch a new design in realm of airplanes that will contain either the folded wings or vertical wings. The reason for having such kinds of wings is to enhance the efficiency in terms of fuel consumption. The innovative design considerations are aimed to be met by 2020. Boeing claims 12% improvement in fuel consumption if suggested design considerations are incorporated. The airplane is given the name 777x. 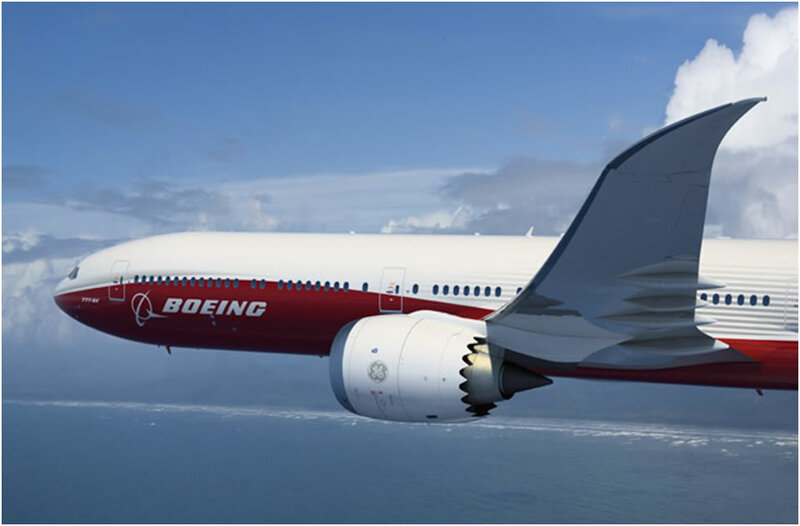 The new design will be based on the large 777 Boeing airliner with GE9X engine from GE aviation. This engine is more powerful than the existing one and hence will play a great role in minimizing the fuel consumption. Another design consideration for fuel efficiency is size of wings. It is a well known fact that larger wings for airplanes improve their efficiency considerably. However, large wings also create some problems. The airplane will face dilemma in negotiating airports which don’t have sufficient space to accommodate such large size wings. It is suggested that the airplane will have to fold its wings as it reaches airport to reduce the area covered and hence can be placed easily. The wings can also be shaped vertically that provide virtually the same effect as horizontal wings and will require lesser area for landing on airports. These are just preliminary assumptions at the moment and only time will tell how this airplane shapes up. Although the current designs are reliable but they are expensive considering the fuel efficiency. Aircraft designers are working hard to make proper modifications to reduce the fuel consumption by 50% as compared to current standards. The most important part in this regard is engine. The design of engine should be improved to provide enhanced fuel efficiency. Another idea is to augment the engine with batteries. These batteries will play role of backup and improve the fuel efficiency. Again these design considerations are just theoretical assumptions. Practical and real life aspects must be incorporated before testing on real airplanes. Tests will be carried out to verify the performance of airplanes and observing its fuel efficiency. If fuel efficiency is successfully improved then it will reduce the cost incurred by airplane travel and facilitate the passengers to great extent. However, it is early to say anything at the moment and we should wait for 2020 to come.